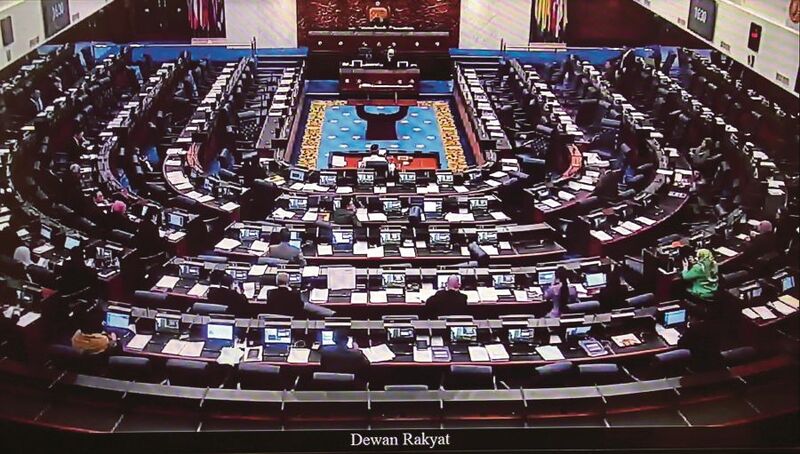 The 2019 Budget, the first under the Pakatan Harapan government, is scheduled to be tabled in Parliament on Nov 2. Experts say PH is likely to boost spending efficiency and focus on people’s welfare. FISCAL management is an exacting task. Thus far, the new government has conducted it with aplomb. It has managed to retain the 2.8 per cent gross domestic product budget deficit despite a big hole in its finances from removing the dreaded Goods and Services Tax (GST). It now faces the perennial yet arduous task of budgeting for the coming year. Aaron Wildavsky, an American political scientist, argued that budgeting was about the classic questions of “who gets what, how, and why”. As Budget Day approaches, the government faces the onerous task of allocating its limited public resources across competing priorities. It has to craft a budget that appeals to as many as possible without spooking the targeted budget deficit. It is a gargantuan task. The process this time round may be even harder. A recently recharged Parliament may subject the government’s handiwork to even greater scrutiny. Here are some suggestions that may enlighten the government in this process. Hitherto, public-expenditure retrenchment has focused primarily on pruning capital projects. It is time to reorient that focus to the operating budget. At 85 per cent of the total, the operating expenditure comprises the bulk of the annual budget. About a similar percentage of the operating expenditure is locked, meaning, it is not amenable to cuts. This includes emoluments, and the constitutionally-sanctioned pension payments and grants to states. That only leaves a sliver of discretionary expenditure for maintenance, supplies and services, and travel and transport to wield the budgetary knife on. Of particular concern is the accelerated increase in public-pension payments. Constituting 10 per cent of the operating budget, pension payments are unsustainable. They have more than tripled from RM7 billion in 2007 to RM24 billion estimated this year. The compound growth rate was 11.6 per cent over the last decade. If the growth rate holds, pension payments will hit RM100 billion by 2030. To check this escalating growth, 10 years ago the government wanted to introduce a contributory pension scheme. The unions were against it. So it was shelved. It’s about time that the plan was dusted off from the shelves. An alternative to contain rising pension payments would be for the government to increase the retirement age to 65. A more drastic measure would be to freeze staff recruitment across the bureaucracy and shift existing staff to where they are most needed. Productivity growth is central to economic growth. Innovation is the key to productivity growth. And innovation comes from research and development (R&D). A study on private R&D expenditure found that over the long term, every 40 per cent increase in the R&D budget will register a five per cent increase in GDP. Germany increased its research budget in the decade following the global financial crisis. That has put its economy in good stead while burnishing its industrial credentials. The government should therefore consider increased funding and higher tax allowances for R&D for Malaysia to stay ahead in the global innovation race. In recent budgets, the higher-education budget took a toll and, with it, its R&D activity. To overcome the problem of limited resources, R&D expenditure could be better targeted. This is what is being done in Sweden and Finland. There, R&D funding across universities is based on their research performance and their potential to forge links with industry to ensure greater value-for-money research. We should consider adopting this method of resource allocation. We are on the cusp of Industry 4.0. In 2015, 18,000 employees were laid off in the banking sector due to the introduction of disruptive technology. In the near future, 70 per cent of all semi-skilled and 80 per cent of unskilled workers are at risk of losing their jobs to robots and artificial intelligence. These technologies are unstoppable if we want to retain our global competitiveness. We can better respond to the disruption by reskilling workers. To alleviate the inequality that will arise from massive unemployment, the government should allocate funds to education and vocational training to ensure graduate employability while helping industry to reskill its workers. The population is ageing. By 2030 we shall have 15 per cent of the population, or six million people, over 60 years. The country is urbanising fast. By 2050, 90 per cent of the population will be urban. These issues make appropriate allocations for affordable housing, infrastructure, town and country planning, and geriatric health and welfare imperative. With the government saddled with servicing its one-trillion-ringgit debt and plugging the revenue hole from the repeal of the GST, where is it going to obtain the revenue to fund its proposals? One option is for the government to seriously consider raising the charges for its services. This will not only foster a better appreciation of the heavily-subsidised public services such as education and health but will also help deliver some cash to government coffers. Take the RM1 charge for outpatient services. I remember this charge being in place since I was a schoolboy. That charge, which cannot even buy a teh tarik these days, is rather unreasonable when the cost to the government can be as much as RM1,250 per consultation. The government, therefore, has to carefully review all its charges. It has to make appropriate upward adjustments without hurting the poorer segment of society. As we said, budgeting is a tough balancing act of determining who gets what, how and why. There will always be some stakeholders who will be disappointed. Greater transparency in budgeting will go some way to assuaging dissatisfaction over the budget.